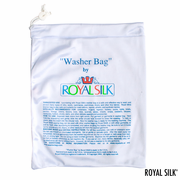 This durable pair of beige gold silk boxers by Royal Silk® is fashioned in a mid-weight, textured India Silk of 60gm weight. 100% Silk with a cross-weave check design. You’ll find this silk to be surprisingly comfortable. Imported. Waist sizes S (30-32"), M (33-34"), L (35-36"), XL (37-38"), and XXL (39-40"). Hand wash or dry clean. We include how-to-wash instructions that are quick and easy. 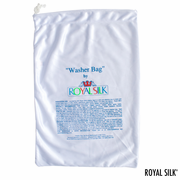 To machine wash, we recommend our fine mesh Washer Bag that is sold separately. $36.